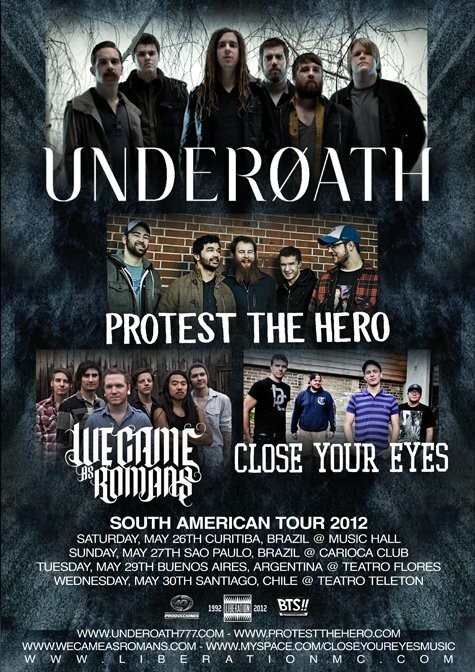 UNDEROATH, PROTEST THE HERO, WE CAME AS ROMANS and CLOSE YOUR EYES will be touring South America in May and June. PUBLISHED on January 12, 2012. UPDATED on April 27, 2012 – tour dates details, CLOSE YOUR EYES teaser added.